Mimed commentary detracts from the story at hand. 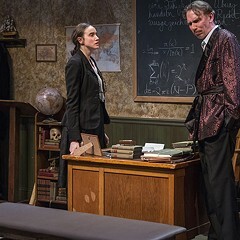 Through 10/20: Thu-Sat 8 PM, Sun 3 PM, Theater Wit, 1229 W. Belmont, 773-975-8150, sgtheatre.org, $15-$39. 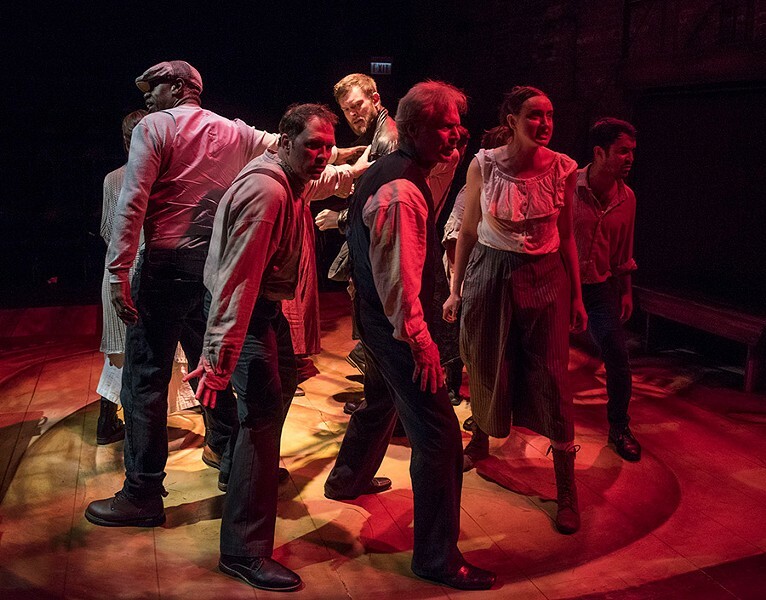 Even viewers with the heartiest intellectual appetites may grow tired of chewing through the nearly three hours of overcoats, dirges, and sorrowful lamentations that make up Chris Hannan's new adaptation of Crime and Punishment, presented by Shattered Globe Theatre. Beyond just the sheer inviting challenge of staging Fyodor Dostoyevsky's 1866 novel, it's not hard to see why his provocative, radical ideas would appeal to artists and audiences in 2018 America. The philosophical parable interrogates the thresholds of mankind's moral relativism and its inclination toward utilitarianism, particularly when it's squeezed by poverty. Hannan describes the story as a "crime thriller meets Karl Marx and Jesus Christ"; adapted for the stage, the internalized musings and arguments of the murderer Raskolnikov (Drew Schad) play out more like a psychopath's TED talk. Which, no doubt, could be interesting as hell. But director Louis Contey adopts a theatrical convention that's not unlike the cornball one used in Neil Simon's They're Playing Our Song: mute ensemble players mirror characters' emotions, doubling as their silent consciences. The effect is a lot of highly presentational, reductive face-to-face grimacing and moody, arty movement sequences that layer on additional artifice to what is intended to be a visceral, unnerving-­in-its-relatability experience. And attempts at levity between the deranged sermons—including some anachronistic jalopy-driver dialects—do little to move the proceedings along.